n. 1 a: A cruelty-free textile composed of filaments derived from the crushed leaves of the Saharan aloe vera cactus, part of the agave family of plants. b: Also known as sabra silk and vegetable silk. 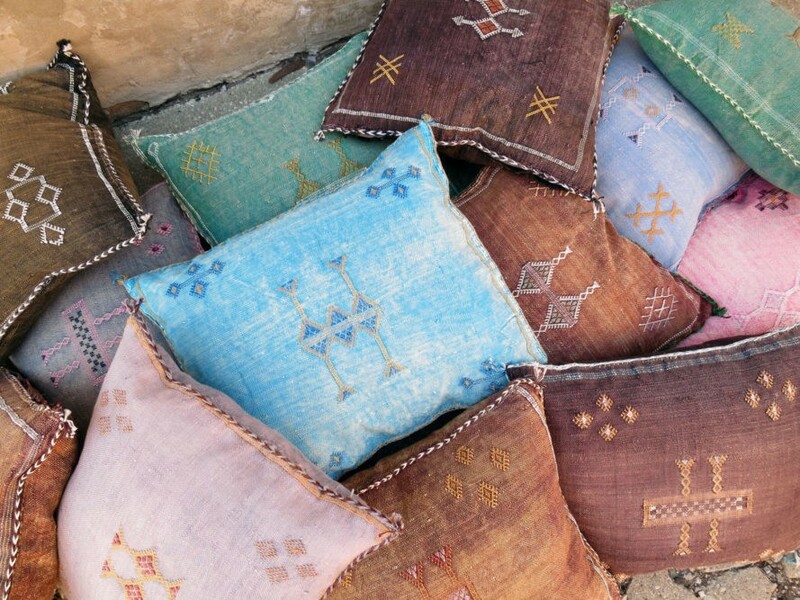 c: Hand-loomed in Morocco, sometimes with other fibers, such as cotton or camel hair, then dyed using vegetable-based colorants. 2: Known for its strength, elasticity, and wrinkle resistance. 3: Used to make carpets, rugs, linens, cushions, and clothing. This is great except the camel-hair part. That is obviously not cruelty-free.